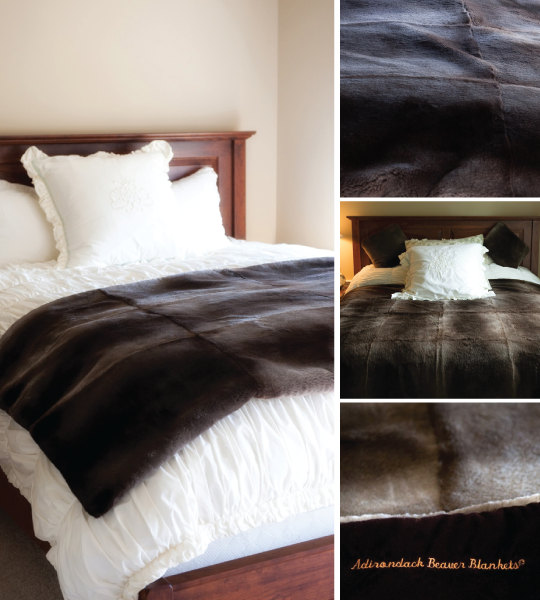 Let Adirondack Beaver Blankets make you a Custom Fur Blanket. From a baby’s blanket, to a king-size comforter. Please call to discuss. Please contact us for custom blankets pricing.